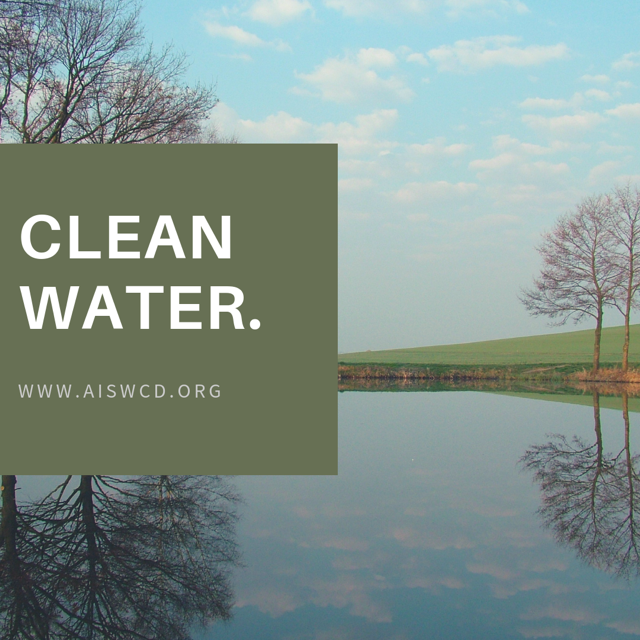 The Association of Illinois Soil and Water Conservation Districts (AISWCD), is a grass roots organization formed in 1948. It is made up and serves Illinois’ 97 member Soil and Water Conservation Districts (SWCDs). 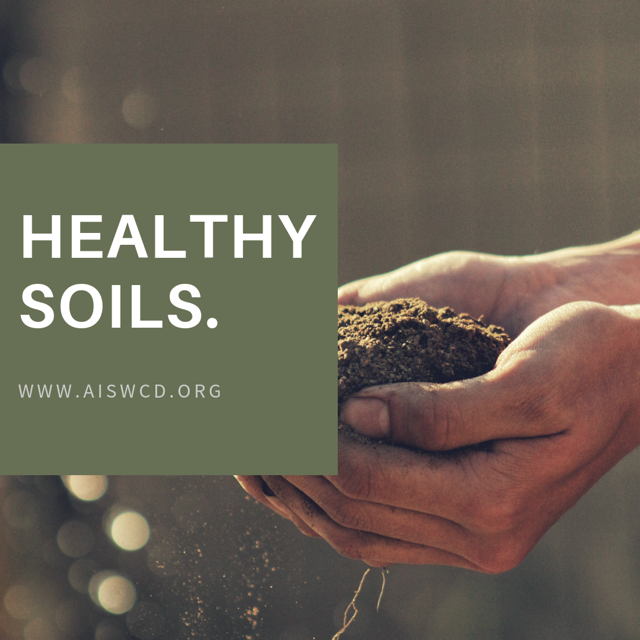 Soil & Water Conservation Districts work to protect Illinois’s greatest assets – the rich, fertile soils and water resources of the state through strategic conservation efforts. 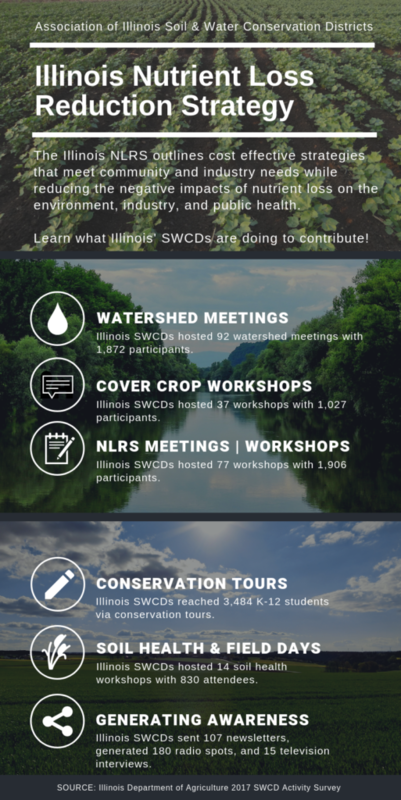 Soil and water conservation districts, working in conjunction with agricultural as well as environmental stakeholders, have for decades over played a central role in efforts to protect and sustain the viability of Illinois’s natural resources for future generations. Soil & Water conservation Districts provide valuable technical assistance on a variety of natural resource issues such as soil conservation, water quality, nutrient management, sustainable land use, and conservation education. Over 500,000 individuals benefit from SWCD services each year. The districts also administer the Illinois Department of Agriculture’s Partners for Conservation (PFC) program by providing technical assistance and financial cost-share incentives to farmers and suburban/urban landowners for installation of various conservation practices such as grassed waterways, filter strips, and cover crops. Additionally, the districts provide ongoing technical and administrative assistance to the United states Department of Agriculture (USDA) to implement various federal Farm Bill programs. At any given time in Illinois, there are over $400M in active, multiyear contracts that the SWCDs are assisting with. The conservation practices supported by SWCDs help to curb runoff from agricultural fields and account for an estimated reduction of 85-90,000 tons of soil loss. They also help to prevent approximately 170-180,000 pounds of nitrogen and 85-90,000 of phospherous from reaching Illinois’ ditches, streams, lakes, and rivers; also the goal of the state sponsored Nutrient Loss Reduction Strategy. Across the United States, nearly 3000 conservation districts — almost one in every county — are helping local people to conserve land, water, forests, wildlife and related natural resources. Known in various parts of the country as “soil and water conservation districts,” “resource conservation districts,” “natural resource districts,” “land conservation committees” and similar names, they share a single mission: to coordinate assistance from all available sources — public and private, local, state and federal — in an effort to develop locally driven solutions to natural resource concerns. More than 15,000 volunteers serve in elected or appointed positions on conservation districts’ governing boards. They work directly with more than 2.3 million cooperating land managers nationwide, and their efforts touch more than 778 million acres of private land. In the early 1930s, along with the greatest depression this nation ever experienced, came an equally unparalleled ecological disaster known as the Dust Bowl. Following a severe and sustained drought in the Great Plains, the region’s soil began to erode and blow away, creating huge black dust storms that blotted out the sun and swallowed the countryside. Thousands of “dust refugees” left the black fog to seek better lives. But the storms stretched across the nation. They reached south to Texas and east to New York. Dust even sifted into the White House and onto the desk of President Franklin D. Roosevelt. On Capitol Hill, while testifying about the erosion problem, soil scientist Hugh Hammond Bennett threw back the curtains to reveal a sky blackened by dust. Congress unanimously passed legislation declaring soil and water conservation a national policy and priority. Since about three-fourths of the continental United States is privately owned, Congress realized that only active, voluntary support from landowners would guarantee the success of conservation work on private land. In 1937, President Roosevelt wrote the governors of all the states recommending legislation that would allow local landowners to form soil conservation districts. Although weather still acts as both friend and foe to the farmer, the Dust Bowl has taught everyone a distant but valuable history lesson. Today, conservation districts continually adapt to newly emerging challenges. Farmers and ranchers are still challenged to properly manage manure and fertilizer so they do not contaminate water resources. Conservation efforts also focus on wetlands restoration, efficient irrigation and flood protection. Urban expansion poses a variety of problems, from threatening plant and animal habitat to compromising water quality. Sprawling suburbia pushes forward other issues. Common construction practices often accelerate erosion, allowing sediment to wash into waterways. Homeowners often use too much fertilizer and pesticide in their yards, and that also ends up in the waterways. Local people offer extensive expertise and personal interest regarding the best ways to take care of their own natural resources. Effective management of natural resources at the local level reduces the need for outside intervention and regulation. Districts often have minimal budgets, and may not be able to meet their conservation goals without volunteer help. Volunteers in education can help youths learn to be responsible stewards of the land. Become a member. Your dollars will help conserve the natural resources in your community. Your membership can improve the water quality of the river that provides your family drinking water and a place to swim and fish. Contact your district for more information about memberships.